This position has reopened and is open for a limited time only. Emirates is one of the fastest growing airlines in the world operating a modern fleet of over 200 wide-bodied aircraft across a global network of more than 140 destinations in six continents. With over 300 aircraft on order from Airbus and Boeing, the fleet size is expected to increase to approximately 300 by 2016 with many more to come. To operate the constantly expanding fleet, Emirates are recruiting candidates for pilots positions from around the world, to work alongside their multicultural team of more than 160 nationalities. Emirates pilots enjoy a competitive tax free salary, company accommodation, medical and dental insurance, annual leave and more in addition to living a lifestyle with access to high standards of education, leisure and sports in a city that is ranked as one of the most desirable locations in the world for families – Dubai. A minimum of 7000 hours total flying time (only front seat time on turboprop and/or turbojet aircraft can be counted). A minimum of 3000 hours command time on multi-crew; multi-engine commercial jet aircraft with an MTOW of 50 tonnes or more. Note: They do not accept simulator time for flying hours calculation. English language fluency (written and verbal comprehension); must be at least equal to ICAO English level 5. 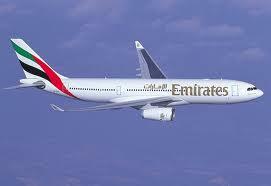 Captain: Monthly Salary Dhs 42,015 (Basic Salary plus Hourly Flying Pay based on 85 block hours per month). 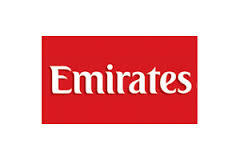 Emirates operates an employee profit share scheme based on the company’s performance and results. A minimum tenure serves as the qualifying period for all new employees. Emirates pilots are provided with company accommodation (including an additional utilities support allowance) or accommodation allowance. The eligibility of the following benefits are subject to each applicant’s unique personal circumstances. Fifty percent of your basic salary will be protected against adverse exchange rate fluctuations between the UAE Dirham and the currency of your country. This is not applicable to currency classifications that are pegged against the US Dollar, or the US Dollar itself as it is already pegged with the UAE Dirham. First Officers and Captains are provided annual financial support towards the payment of core tuition for up to 3 children aged 4-19. End of service gratuity is calculated at 21 days basic salary per annum for the first 5 years of service and 30 days basic salary per annum for each year of service thereafter. The Provident Fund Scheme is a long-term savings plan in which the employee contributes 5 percent of basic salary and the company contributes 12 percent (paid out after 5 years of service). Upon leaving the company, employees are entitled to an end of service gratuity (for an employment period of less than 5 years) or Provident Fund payment. Flightdeck Consulting is uniquely positioned to give you the best opportunity of success in your Emirates Interview. When you appoint Flightdeck to prepare you for your interview we will also assist in completing your online application, ensuring the best possible chance of being called for an interview.